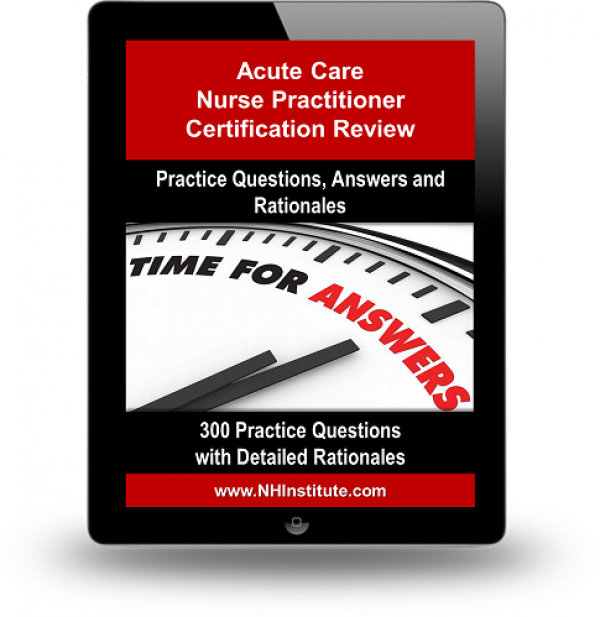 This set of 300 Acute Care Nurse Practitioner Certification Practice Questions contains problem-oriented, multiple-choice questions divided according to content area. What's more, it include answers, rationales, and bibliographic references. Prepared by board certified nurse practitioners, the questions are representative of those found on the certification examinations offered for the Nurse Practitioner Certification1. The Practice Examination portion of the program provides instant feedback for each question, as well as an overview of results at the end of the exam. This unique online program allows test takers to build their own practice examination by selecting questions from those subject areas where they may need additional practice or support. The final Examination portion provides a format where feedback and rationales are withheld until the user completes that exam.